SD Plethysmometer Paw Volume Meter for Rodent Inflammation Enclosure Sensor . 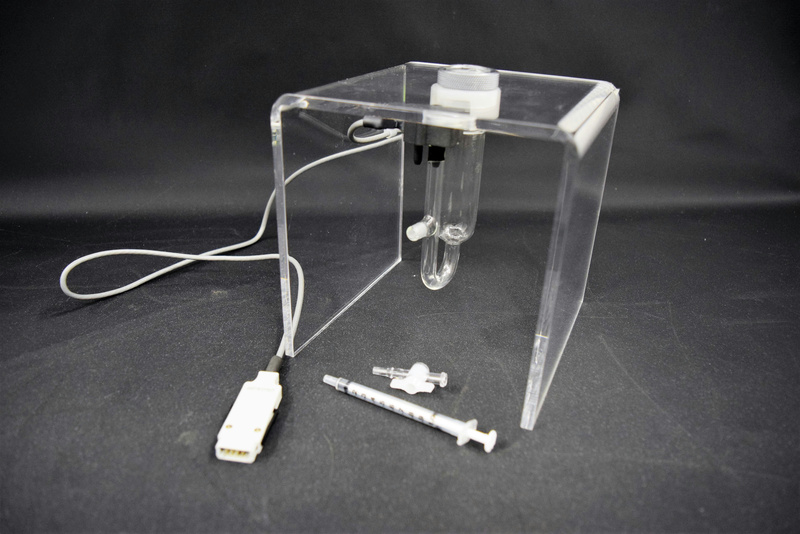 New Life Scientific, Inc.
-Plexiglass stand with a threaded laboratory glassware tube on top with a port on the arm. -Features a stopcock with a threaded/barbed tips. -Includes a syringe for flushing out the port and stopcock. -Almemo measuring sensor with a 6-pin male plug (Approx. 30 in length). No cracks or chips in the tube, the stand has a little chip in the top corner and the sensor is in great condition. The meter, digital measurement device, was not acquired and is not included--this product is incomplete. The customer will need to supply a compatible meter for the sensor plug photographed. Tube is in excellent condition the enclosure has a chip in the corner... nothing to inhibit the functionality of the unit.